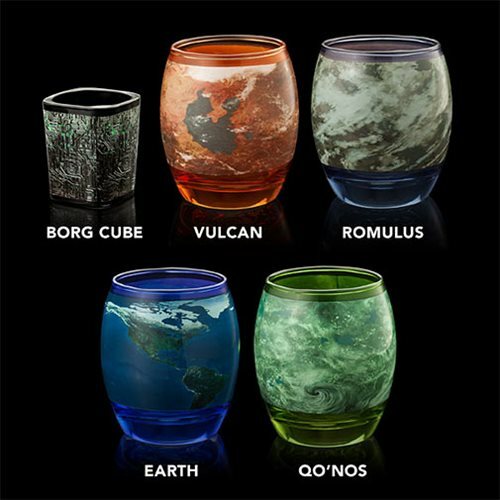 Fans of Star Trek will love this set of drinkware. 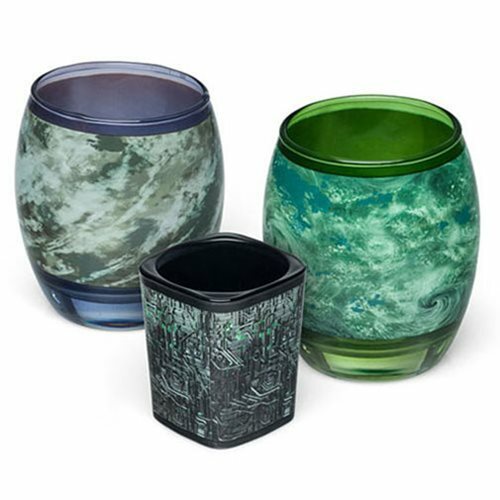 The Star Trek Planetary Glassware Set includes 5 glasses decorated with places from the Star Trek universe! Includes 10 oz. glasses of Earth, Vulcan, Romulus, Qo'noS, and a 1 1/2 oz. Borg cube shot glass. Hand wash only. Not dishwasher safe. Do not microwave.